India has the largest railway network in Asia. With the growing industrial development and population, the role of railways in transportation is going to be crucial for the coming years. UAVs (Unmanned Aerial Vehicles) offer a great tool to capture the project visuals quickly and easily. The video collected using a UAV is up to date and provides oblique information about the site, unlike satellite imagery. The high-resolution videography and the accurately processed outputs help to capture & measure the actual status of the project without visiting physically to the site. The periodic data capture also helps to monitor the changes at the project site and also highlights any major hindrances to the project. 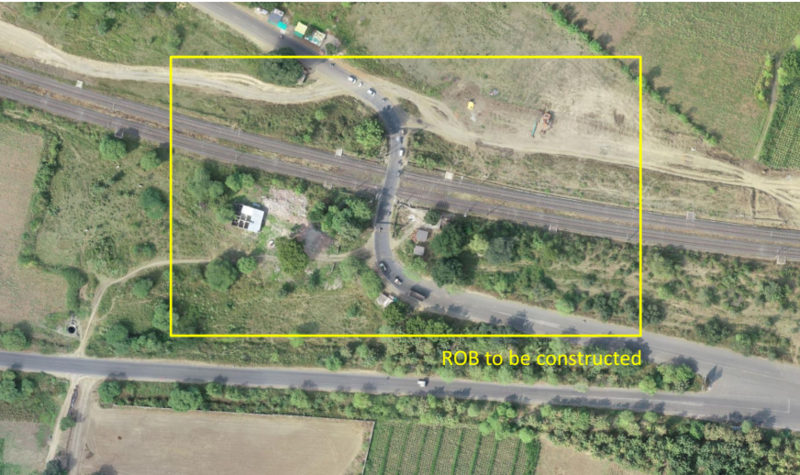 DroniTech has used autonomous Unmanned Aerial Vehicle for level crossing survey for the Indian railways. We have completed 3D mapping and aerial photography for more than 50 Level crossings for railways across Maharashtra. Also, the industrial surveys have been completed within 7-8 days with millimeter-level accuracy. Our experienced data collection and planning team ensured that the site work was completed swiftly and with utmost safety without compromising on the quality of collected data. How will this benefit other companies? Our UAV technology helps in supporting the drive towards zero incidents onsite as it takes away some of the risks from the construction activities like the need for laborers to work at heights when inspecting assets like bridges, chimneys, and towers.